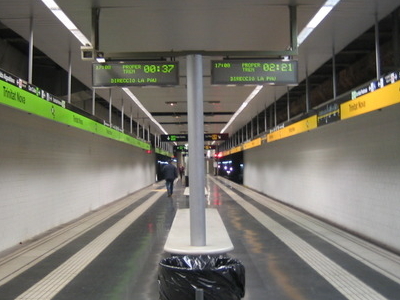 Trinitat Nova is a Barcelona metro station located in the neighbourhood of the same name, in the Nou Barris district. It was opened in 1999, as part of the project to effectively link this relatively remote area in northern Barcelona with the city centre, becoming the northern terminus of L4. 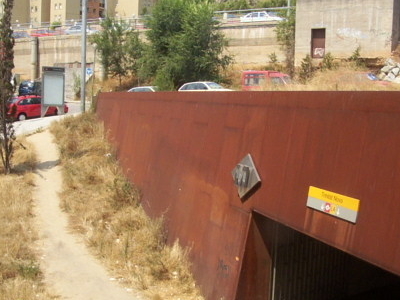 It is located underneath Carrer Aiguablava. L11 was opened in 2003, as a light rail extension to L4, serving the dense and hilly area spanning from Trinitat Nova towards Can Cuiàs. L3 arrived at Trinitat Nova in 4 October 2008. Here's the our members favorite photos of "Metro Stations in Barcelona". Upload your photo of Trinitat Nova!